Emojis are everywhere. They’re in your texts, in your Instagram feeds, all over Facebook, Twitter, and now… they’re in press releases too. 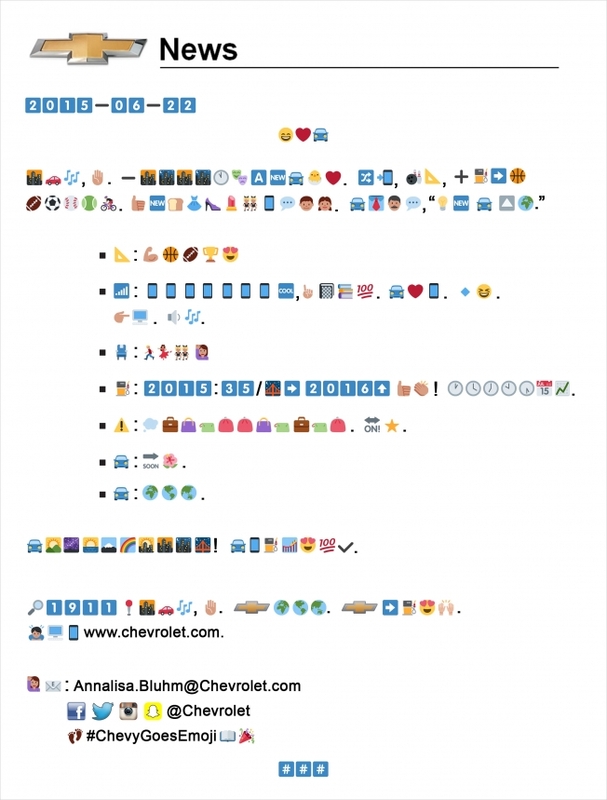 Chevrolet has been using the #ChevyGoesEmoji hashtag for a few days, bringing celebs and the likes into the mix with coded emoji messages turned into branded content videos. You’ve got about 5 minutes to decode the release before they give the answers. So, get at it!